Paris is a city with something for everyone. Love to explore, Paris is one of the most walkable cities in the world. Live to shop, it doesn't get any better than Paris. Long to look at art, visit one of the 170 museums in Paris. 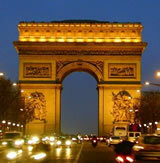 Below is a list of articles to help you decide what to see and do on your trip to Paris, France. Lists of our favorite things to do in Paris based on your budget. Five Paris Favorites - Five fabulous Paris experiences for all budgets. Five Fabulous Things to Do in Paris for Free - On a tight budget? Don't sweat it. Remember the best things in life are free - especially in Paris. Four Things to Do in Paris for less than 25 euros - Four unique experiences that won't break the bank. Top Ten Places for Romance in Paris - Discover the City of Love by visiting our top ten places for romance. 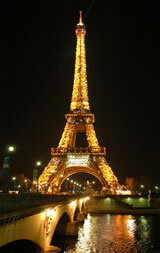 Eiffel Tower: Tips for Your Visit- The Eiffel Tower is a "must see" for your visit to Paris. Read our 12 tips for how to maximize your time on the Tower. 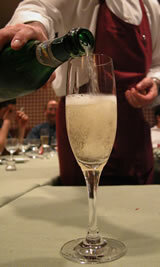 Five Ritzy Experiences at the Ritz Hotel - Five ways to experience the famed Ritz service without staying at the hotel. Paris for Explorers - Directions for walks with breathtaking bird's eye views of Paris, lists of Sunday strolls and outdoor museums. Paris for Art Lovers - Itineraries for art lovers based on your particular artistic interest (e.g., Impressionism, medieval history, modern art, sculpture, etc.). Paris for Night Owls - Six fantastic Paris experiences to have when Paris turns on its lights. Includes bar recommendations. 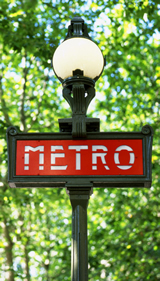 Paris for Shopoholics - Ten "must-do" activities in Paris if you love to shop. 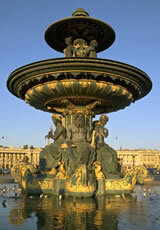 Detailed shopping tours for St. Germain des Pres and Ile St. Louis areas. Visiting the Louvre? Read our walking tour of the Louvre with a shopoholic theme. 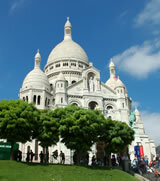 Esprit de Paris Tour Review - Our review of a private 3-hour Paris tour by Parisian, Adeline Marchand. During the tour, Adeline gives us a glimpse of the effortless sophistication, cultural heritage and modern spirit of Paris. In addition to historical sites, Adeline tours chic boutiques,exclusive chocolatiers and favorite Parisian cafes. Tours are on bike, on foot or by car. Best Kid-Friendly Tours - List of our favorite "kid-tested, mother-approved" tours. Includes a Louvre tour, teen-age girl shopping tour, a free museum tour, a scary ghost walk, kids only walking tour, and kid's cooking class.